A few weeks ago we mentioned that an Ice Cream Sandwich update was scheduled to be coming down the pipe to Google Nexus S and S 4G owners relatively soon. 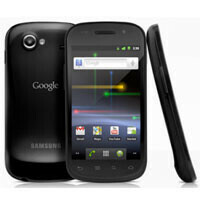 The folks over at BriefMobile have managed to obtain the official stock image files for the upcoming Android 4.0.4 OTA update for the Google Nexus S 4G. With an official ROM out in the wild, it is probably pretty safe to say that the OTA should be happening very soon. If you just can’t wait for Sprint to hit the button, head on over to BriefMobile where they have all the files you need as well as complete instructions. Be warned, the process will wipe all your data and, as always, you are liable for your own actions.